If the IEP team denies necessary educational services to your child, we will represent your child’s interests in a due process hearing designed to resolve disputes between parents and school districts. In addition, if an IEP has been accepted but it is not being implemented fully or is not effective, we can request a due process hearing to demand that the IEP be properly implemented or corrected to meet your child’s educational needs. A parent who believes that his or her child is being denied a free appropriate public education (“FAPE”) has the right to challenge the District’s decisions in a due process hearing before the Massachusetts Bureau of Special Education Appeals (“BSEA”). The BSEA is an independent subdivision of the Division of Administrative Law Appeals. A due process hearing is, in many ways, like a trial although it is somewhat less formal. The hearing is conducted by a hearing officer. There are presently seven impartial hearing officers at the BSEA, all of whom are attorneys. During the hearing, each side presents documents and sworn testimony to the hearing officer. The parties also have the right to cross-examine witnesses and to submit rebuttal evidence. In addition, the parties are afforded the opportunity to present oral and written arguments to the hearing officer. At the conclusion of the hearing, both sides usually submit written briefs arguing the facts and the law to the hearing officer, who then renders a decision. The hearing officer’s decision is based upon the evidence submitted by the parties and relevant legal principles. If either party disagrees with the decision, they can file an appeal. What Types of Cases are Heard at Due Process Hearings? A parent or a school district may request a hearing on any matter concerning the eligibility, evaluation, placement, individualized education program (IEP), provision of special education or procedural protections of state and federal law for students with disabilities. In addition, a parent may request a hearing on any issue involving the denial of the free appropriate public education guaranteed by Section 504 of the Rehabilitation Act of 1973. While legal action is a last resort, it is necessary in certain cases. When a due process hearing is needed to protect your child’s rights, Attorney Sankey has the litigation skills and experience to handle these complex matters. Sometimes the filing of a hearing request provides notice to the school district of your willingness to enforce your child’s rights, which can lead to quick negotiation and a satisfactory resolution of the dispute. 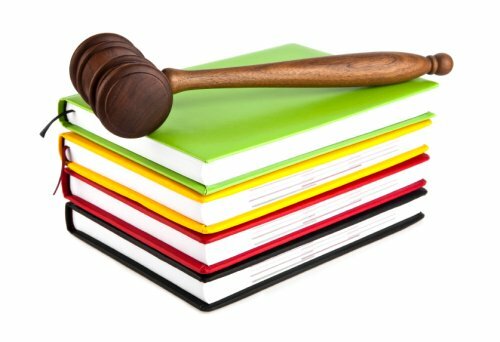 If you are forced to challenge a school district’s decisions at a due process hearing, it is important that you be represented by an attorney with the litigation skills and experience to guide you through the process. We understand the steps that are necessary to get your child the free appropriate public education he or she is legally entitled to receive. Personalized attention for all. Speak directly to one of our Massachusetts due process IEP hearing attorneys today.